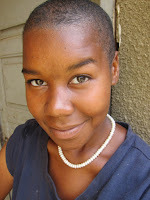 As some of you may be aware from my recent post on facebook, I had my hair shaved earlier this month. With the temperature rising in each passing day, hot season gradually made this a more desirable and realistic option for me. Some days, the temperature reaches more than 120° and I find myself sweating from just a walk around the block. Even staying indoors does not provide relief and can even make the heat more smoldering. This decision was not completely hot season generated though. I always wanted to, or rather been curious about what having a bald/shaven head would be like. I do not know if I would ever have the guts to do it in the States, but this situation seemed to provide that extra bit of motivation. Now, I can officially check it off my bucket list. With the temperature aside, I also felt more comfortable shaving my hair because here because it is a pretty common style for other girls. 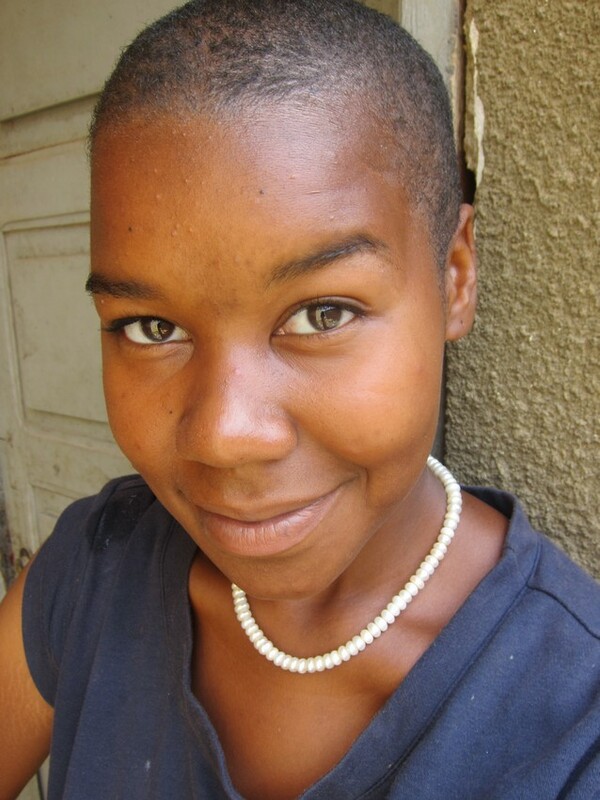 Just like school fees and supplies, a shaven head is required for girls and boys attending public institutions. With that being the case, finding a barber was a simple search. In only 15 minutes of my day and 200 Fcfa (roughly 50 cents) out of my pocket, the shave was done. I even added an additional 50 Fcfa tip for the barber, which I think shocked him just as much as the shave shocked me. I glanced in the mirror just briefly before leaving the shop, expecting the whole community to notice and comment on the change immediately. Instead, I exited and walked down the street just as I had come—without much notice. Even when I passed one of the cafeterias I frequent and talked with the owner for a few minutes, he did not say a word about my hair (or lack thereof). In some ways, I actually preferred the silence and quickly began to settle into this unexpected reaction. On my way to start doing some work for the day, I was greeted with yet another surprise. For the first time, I got to experience the wind on my head, a moment I will argue is much more satisfying that the wind in your hair. To be honest, I hadn’t yet figured that out for myself, but I responded with a quick, “Yes. It’s finished” in local language, and continued on my path. On the other side of the short wall separating the radio station from a weavers group stood my laundry lady. She works washing clothes all over town and was scrubbing away when she stopped to look up at my head in horror. She only speaks local language, but fortunately (or not?) the radio station director I was standing next to delivered a translation for the next few things she said. “You cut your hair… It is not good. It is not pretty. You are like a man… It was nice before. Why did you cut it?” she demanded. Again, she explained that my hair “is not good” along with several other things in local language I could not understand and was not given translations to this time. I only stayed at the radio station a few minutes longer before I went around the wall to take care of the second visit on my agenda, to see the weavers. There, I was standing in front of the laundry lady face to face, and again she mentioned, “It is not good.” This time she surprised me using English rather than Kotokoli or French. As I started to continue toward the weavers, she added a few more thoughts, now in Kotokoli, “You must put [on] jewelry. You look like men,” one of the weavers translated for me. Rather than responding myself, I asked another weaver what he thought. “It is good for me.” He rebutdtaled. This marked the first positive review I received. Quickly enough, my conversation with the weavers switched back to work, and in no time it seemed like my hair change was unnoticeable again. Then, at the market, all of the women that seemed not to notice earlier certainly did now. Repeatedly they said, “You did/you cut your hair” depending on the translation I received. Each time, “Why?” served as the follow-up question. Some women were surprised and gasped when they saw me, adamantly saying “It’s not good.” Others raised their firsts and said, “It’s good! Good work.” Either way, they were all noticing. Maybe more exciting than the market was another eventful part of my day. Outside my house I was greeted by a group of kids (not unusual), but rather than just say hello from afar, as I stepped toward my door, they ran to me. Several of them just wanted to touch me, so they grabbed my skin or waggled my hand too vigorously to be considered a hand shake. Then, they stopped and just stood there. They looked up at me with the biggest smiles until one tried to capitalize on the moment by throwing out the palm of her hand and saying, “Give me money” in local language. This was usual and I retorted with my default reverse psychology line, “Give me money” and put on my palm as well. After a brief hesitation, one of the wiser kids in the group grabbed a small rock from the ground and laid it in my palm. In response, I passed the rock on to the first kid who asked for money, and this seemed to quench the kids like an energy drink. The group started laughing wildly and took turns collecting rocks to put in my hand, or to place in the palms of the others. The more I continued along with the game, the more excited the kids became. After a few minutes, I was convinced the game might never end until one of my English club kids (and helpful neighbor) intervened. He shooed the kids a way and urged me to, “go back in your house so you can work. They will just bother you.” He explained. While that game had the potential to last longer than I would care to play, I was still saddened by the abrupt ending of it. The kids did not let me down though. As I stepped inside my gate, the group followed in too with the reasoning, “we want to see your garden.” I did not mind that, so I let them in. The kids then started wandering around all over the yard, to the back of my house, and one girl even popped a squat to pee. Again, the English club student helped me out by rounding up all the kids and again shooed them away. Once we got them out mostly the door, an old man walked in too. Thinking he was just curious about the parade of children exiting my door, or maybe that he wanted to see the garden too, I let him come in. He only spoke local language, but through the translations of my English club student, I learned neither of those reasons were of interest to him. Instead, he wanted to collect leaves. The English club student explained that he was a traditional medicine healer and wanted to collect some of the weeds growing in my garden to use for his craft. Definitely willing to help him (and clean up my yard a bit), I let him go for it, and joined him in digging up the weeds he wanted. Before leaving, he also tried to give me natural medicine for malaria (not needed as long as I take my prophylaxis) and something for a sick stomach (not such a bad idea for any PCV). From shaving my head without notice… to some notice, then to neighborhood notice (of that and of other things). Just one of those interesting days to be alive and in Togo. It also demonstrates the juxtaposition I often encounter here. As volunteers, it seems like people do not care one minute, then later on we might find a swarm of people waiting for us at home who do. 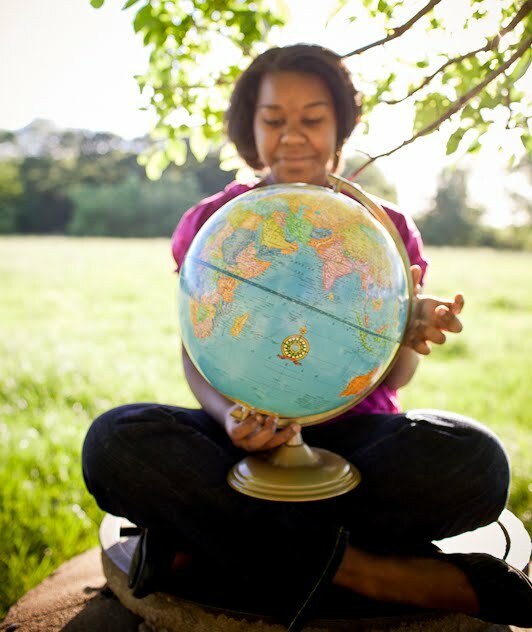 I took my first trip abroad two weeks after university when I joined the Peace Corps. Six years later I still live out a backpack. So far the road from West Africa has led to Asia, the Caribbean, Europe & Oceania. May I share the adventure with you?